WORCESTER, MA– The Worcester Railers Hockey Club (@RailersHC), proud ECHL (@ECHL) affiliate of the New York Islanders (@NYIslanders), and Railers HC Team President Michael G. Myers (@Myzie35) officially announced today that the club has named James McDonald an Account Executive, Tickets & Memberships. 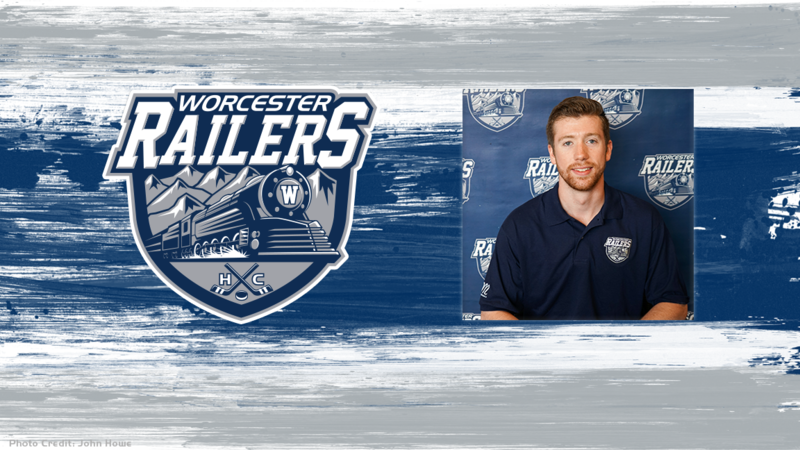 James McDonald joins the Worcester Railers HC after interning with KBK Sports for the past eleven months. While working with KBK Sports, McDonald assisted with sales calls, hosting charity events, and maintaining the company’s social media pages. The Grafton, MA native graduated from Salem State University in May of 2018 with a Bachelor of Science in Sport Management and Minor in Business Management. While a student at Salem State University, McDonald worked as an intramural sport official—he served as the head referee for flag football and officiated basketball, volleyball, soccer, and softball. The 24-year-old graduated from Sutton Memorial High School, where he captained the Track & Field and Cross-Country teams his senior year. He was also a recipient of the Sportsmanship Award his senior year in recognition of his exemplary leadership skills displayed while representing his school. What’s on tap? – THANK YOU FANS! The Worcester Railers would like to thank the 152,370 fans that attended a Railers game at the DCU Center this season! We look forward on seeing our members at Railers sponsored events throughout the offseason. 2019-20 season ticket packages are on sale now for the Railers third season of ECHL action which will begin in October 2019. Visit www.RailersHC.com or call 508-365-1750 for more information.